So I’ve been looking into this Zigbee technology that I’d seen around on various sites. I didn’t really know what it was for but it seemed to be some kind of wireless communication technology for use with microcontrollers and such. Wow did I ever underestimate that!!! 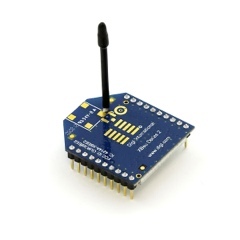 I have another project that I’m contemplating and Zigbee could be an ideal solution for it! Here are a few links I found. Wikipedia’s Zigbee Article (for good measure).